The Nokia 5 is the perfect choice for anyone who is on the hunt for a fantastic smartphone at an affordable price point. Select your desired options to find the best Nokia 5 deals for you. Nokia was once the leading smartphone brand in the world; their 3310 handset was the phone to have back in the day, with users globally competing to get the best high score on Snake. However, in recent years, things have changed. Nokia unexpectedly dropped off of the radar, with other big brands surpassing them as industry leaders. Until, that is, now. Nokia has recently burst back onto the scene with a string of extremely impressive mid-range and budget smartphones that haven’t failed to impress experts and are regaining the brand the loyal following that they once had. 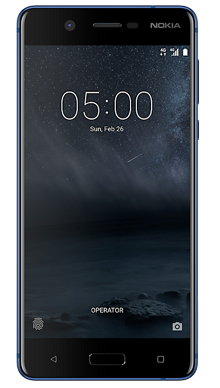 The Nokia 5 is one such handset; it combines a sophisticated design with some super impressive technology to deliver a smartphone experience that won’t let you down. The aforementioned exceptionally premium design that combines a sophisticated all-metal design with a sleek metal frame and rounded corners that couldn’t be further away from the bulky build of the Nokia 3310. When it comes to style the Nokia 5 is available in either black, blue or copper, so whichever one you choose, you’re sure to turn heads. The polarised 5.2” HD display is equipped with Corning Gorilla Glass. Not only does this mean that the Nokia 5 is extremely durable, but it is also a great size which is comfortable to use with one hand. Not only is the screen size is great, but the resolution is decent enough for the price point of 1270 x 720 HDD; colours come across well and saturation is bright yet well balanced. The single speaker on the Nokia 5 means that without headphones the sound quality won’t blow you away, but that being said, the audio performance is significantly better once you plug in a pair of decent headphones. A 13MP rear camera makes for photography capabilities that rival some of the current industry leaders; your photos will be crisp and clear. The camera app does experience a little delay when you’re opening it, but that's not surprising on a handset in this price range. 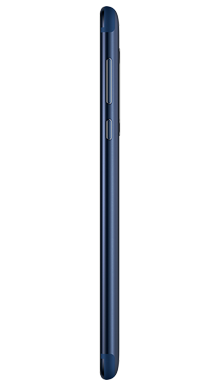 On the front, there is a decent 8MP shooter that comes with a wide angle lens that ensures selfies that are sharp and clear. 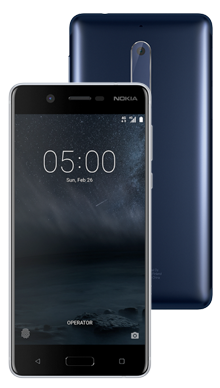 The Nokia 5 runs on an impressive Qualcomm Snapdragon 430 processor alongside Android Nougat to allow you the ease of running all of your essential apps from the Google Play Store. ANy familiar Android users will be happy with the easy to use interface, and it is, of course, upgradeable to more recent versions. With 16GB of storage and the potential to expand that to 128GB with the addition of a microSD card, you can be sure that you won’t have to limit yourself when it comes to your smartphone. There’s sure to be plenty of room for all of your favourite apps, photos, and all important files. Here at Metrofone, we’re proud to bring our customers some of the very best mobile phone deals out there. Our team work around the clock to ensure that we have the very best handsets and the very best prices. 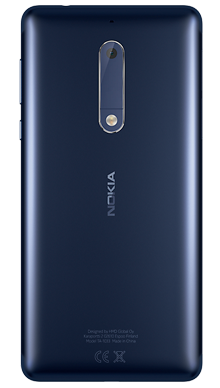 The Nokia 5 is a fantastic budget handset for anyone on the hunt for a great quality smartphone without the price tag. 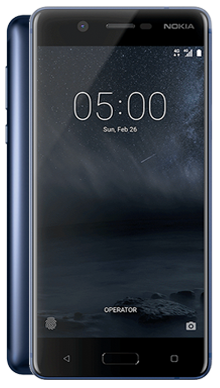 Whether you’re shopping for personal or professional use, the Nokia 5 is a solid choice, and here at Metrofone, we have a great range of the very best Nokia 5 deals. Metrofone partner exclusively with EE, the UK’s leading mobile phone network, so that we can be sure that our customers get the best service and connection wherever they are. So, if you’re looking for an EE pay monthly contract, then we also have some of the best Nokia 5 EE pay monthly deals on offer, giving you fantastic perks, loads of data and even the odd cashback offer to bring you massive savings. If you can’t find the best Nokia 5 deal online, or if you’d like to find out more about the handset, or a specific deal, then why not contact us on 0333 900 1144 and our UK based customer service team will be on hand to guide you to the perfect deal for you.